Payments companies are the most concerned of all financial industry players to lose parts of their business to FinTech. To tackle this challenge, they are the most active in acquiring FinTech startups and launching their own subsidiaries, and they are investing heavily in cybersecurity and fraud protection. The payments sector is very aware of the gaining power of FinTechs. Almost nine out of ten payments companies in PwC’s 2016 Global FinTech Survey believe more than a quarter of their operations could be lost to FinTechs by 2020. This is the highest percentage of all financial industry players. In response, 84% of payments companies have placed FinTech at the heart of their strategy and 35% have launched their own FinTech subsidiaries, while only 4% hasn’t yet dealt with FinTech. Influenced by mobile apps outside of financial services, consumers continue to demand faster and easier payments. As payments become frictionless, incumbents become increasingly concerned about margin pressure. Almost three in four (74%) payments companies see this as a threat, again the highest percentage of all financial sector institutions. Customer churn is also a serious concern for the industry (61% of respondents), and more than a half of the respondents (52%) fear losing market share to new players. PwC estimates that the number of non-cash transactions will grow by 69% from 2013 to 2020, representing over one million transactions happening every minute. But while the popularity of electronic payments increases, so does cybercrime and fraud. It’s why payments companies believe the most critical trend impacting the industry is the development of advanced tools and technologies to protect consumers from security attacks and fraud. Unsurprisingly investments in cybersecurity and fraud protection are top of incumbents’ minds. 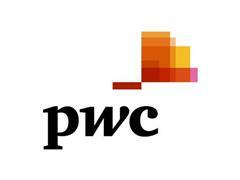 The report “Payments in the Wild Tech World – Digitisation and changing customer expectations” is part of the 2016 PwC Global FinTech Survey and can be downloaded here​. The 2016 PwC Global FinTech Survey gathered the views of 544 respondents from 46 countries, principally Chief Executive Officers (CEOs), Heads of Innovation, Chief Information Officers (CIOs) and top management involved in digital and technological transformation, distributed among five regions. The payments-focused cut is based on the responses of 24 respondents from payments companies around the globe.